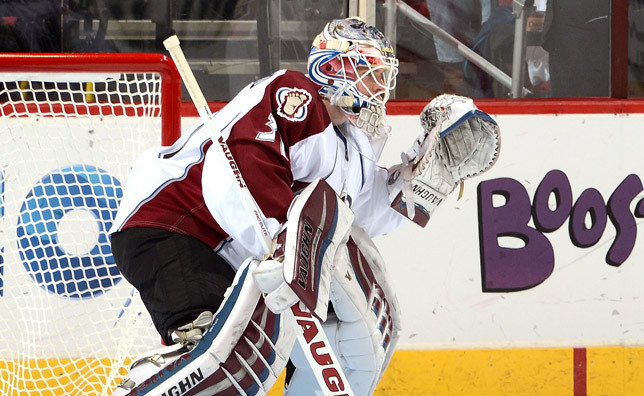 The Colorado Avalanche Hockey Club announced today that the team has signed goaltender Calvin Pickard to a one-year contract for the upcoming 2015-16 season. Pickard, 23, spent most of this past season with Lake Erie (AHL) but also saw his first NHL action with the Avalanche, appearing in 16 games. He posted a 6-7-3 record with a 2.35 goals-against average and .932 save percentage for Colorado. Pickard, who had five separate stints with the Avalanche throughout the year, was leading the NHL with a .936 Sv% when he was reassigned to Lake Erie at the NHL All-Star Break on Jan. 22. The Moncton, New Brunswick, native appeared in 50 games for the Monsters, compiling a 23-17-9 record with a 2.61 GAA, .917 Sv% and three shutouts. Pickard earned his first two NHL wins in relief, stopping all 17 shots on Nov. 22 vs. Carolina and all 25 shots on Nov. 25 at Arizona. He became the first goalie in NHL history to record his first two career wins in relief in back-to-back team games. Pickard’s season highlights included a 149:24 shutout streak from Oct. 18 to Nov. 26, the longest ever by an Avalanche rookie and the longest by any Colorado netminder since Patrick Roy (192:37) in 2002-03. Pickard also set an Avalanche rookie record with a 47-save performance on Dec. 18 at Pittsburgh, and became the first rookie goaltender in Avalanche/Nordiques history to yield no more than one goal in each of three consecutive starts from Dec. 18-21. Selected by Colorado in the second round (49th overall) of the 2010 Entry Draft, Pickard has spent the last three seasons with the Monsters. He became Lake Erie’s all-time wins leader earlier this year with his 52nd AHL victory on March 8 vs. Chicago. Prior to turning pro, Pickard spent four seasons with the Seattle Thunderbirds where he finished his major junior career as the Western Hockey League’s all-time leader in minutes played (14,025) and saves (7,727). He was named to the WHL Western Conference First All-Star Team in 2009-10 and Second All-Star Team in 2010-11.